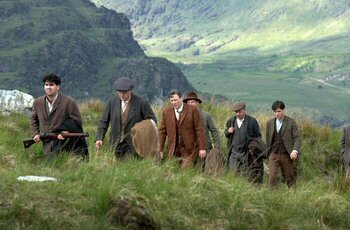 The Wind That Shakes the Barley takes the I.R.A story in early 20th Century history in Cork, Ireland and translates it into a tragic moving, drama of two brothers torn apart. You see the struggles that build the resentment and rebellion against the “Black and Tan” squads of Britain. The movie is like an open wound exposing all the tragic consequences of violence, war, betrayal, terrorism, greed, and political power gone amuck. It shows the effect on friends and family. It shows what can happen to brothers. It was a movie that I found relevant in many ways to a lot of the issues we are facing today and I think that made it extra powerful to me. The movie is directed by Ken Loach. 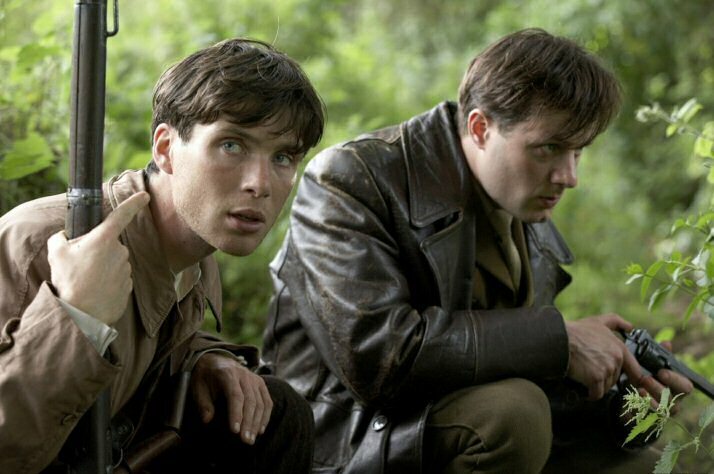 Lead Actor Cillian Murphy ( Damien) gives a stand out performance. The movie came out in 2006. Rent it! This film was unjustly ignored by both Critics and Distributors alike. A well directed and photographed film like this should definitely be seen. I thought it was one of good, more recent historical dramas. i like how you write this article. Searched by google, now i am inforemd. I so agree with your comments on this film. It has become my favorite movie and I watch it often as it covers so many angles of life during war, including some very tender moments. I think the scene where Damien and Shena kiss for the first time is the most romantic scene I’ve ever seen. It was so real and captured so much…I’m crying as I wrote here thinking of it. I came across it in the library and ordered my own copy right away. I’m so in love with this actor and want to see everything he’s done. All the others were great in this movie also… but Damien made an impact on me and I learned things about war I had no idea about. It broke my heart when he was shot dead while his brother Teddy gave the command to shoot. I thought he was aslo great in this film but Damien had my heart all the way till the very end. I felt Shea said it all in the last scene. I would encourage every one reading this to watch this film Its defiantly under rated. Evelyn, Thank you for your insightful and heartfelt comments.